Recognizing excellence in design and retail across the children’s fashion market for 2018. Summed up by its motto “making friends,” what began as a modest Spanish company dedicated to the production and commercialization of socks and tights (known as “Dominguez Toledo” in 1941) has grown into internationally recognized label Mayoral. 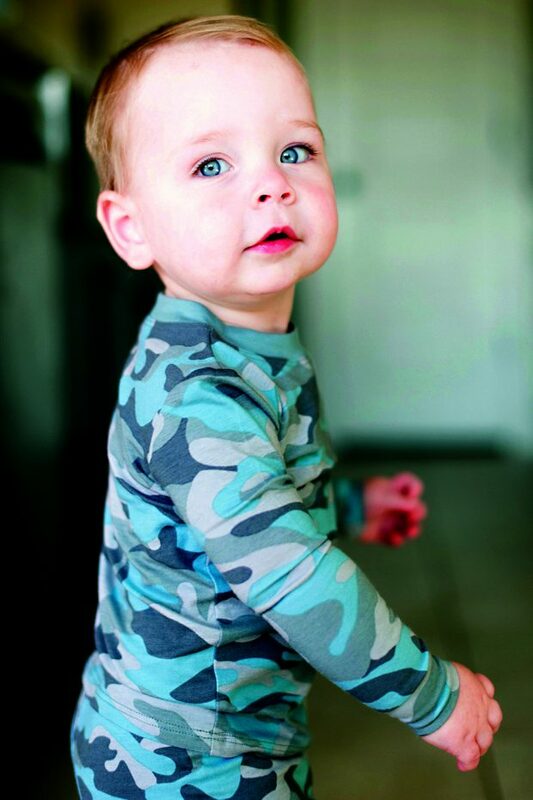 The poster child for high-quality yet affordable kids’ apparel spanning newborn, baby, mini, junior, shoes and accessories, the company experienced another strong year in sales and retail expansion as well as introduced Abel & Lula, a special occasion brand that will debut this spring. Herman summarizes Mayoral’s success with two words: consistency and diversity. “What makes carrying the brand so successful for our retail partners is that collections can be purchased as open stock, in any size, color or pattern the buyer desires,” he says. “This gives them flexibility to build style stories they believe work best for their clientele.” And thanks to a fully automated warehouse system at its headquarters in Malaga, Spain, Mayoral is able to manufacture and deliver 95 to 100 percent of buyers’ orders. “Our retail partners rely on that consistency each season and can be assured that their buying dollar will not go to waste,” Herman says. Mayoral has just about completed construction on an additional warehouse facility in Spain that will almost double its current capacity and allow for even more efficient delivery options. In an effort to make sure Mayoral’s designs are spot-on for the coming season, every six months its 250 sales reps gather at its Spain headquarters to preview the latest collections as well as interact with the top brass and agents. “Our goal has always been to develop a close relationship with our employees, sales reps, retail partners and, ultimately, the millions of consumers we serve worldwide each year,” Herman says, noting that the company refuses to sell from line sheets or virtual showrooms. “Mayoral has always believed in the importance of seeing and feeling the collection during the sales process, at which time reps can then pass along the information they learned during their trip to Spain.” Herman says the overall goal—a better-informed retailer—can translate Mayoral’s vision for the coming season to consumers. “It’s an old-school, hands-on approach that we believe is one of the keys to longevity in the apparel industry,” he says. 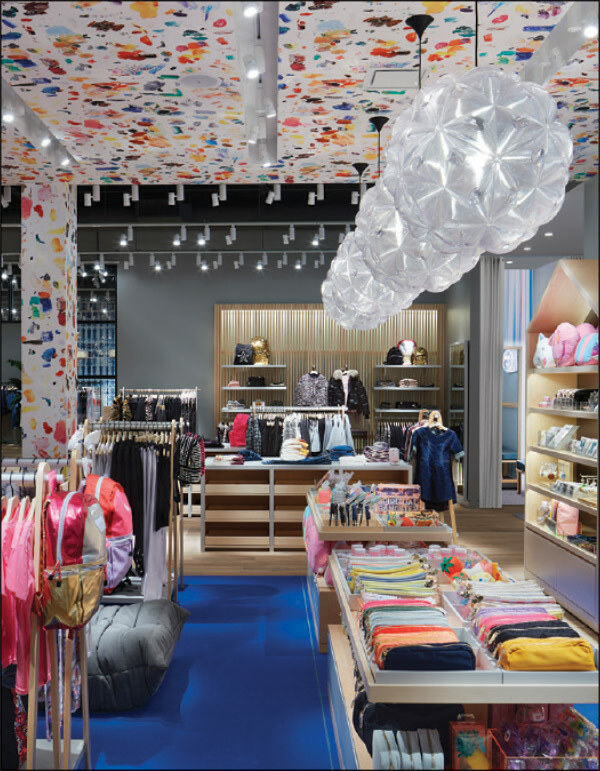 Intermix co-founder Haro Keledjian and his wife and former Intermix fashion director Sari Sloane turned heads in 2018 with the expansion of their latest concept Everafter, a one-stop-shop luxury boutique for kids and tweens. The couple, who sold Intermix to Gap for $130 million in 2013, saw a void in the market and pounced. In just over a year, Everafter’s luxury concept has caught traction, first in New York’s Tribeca neighborhood, and three more locations on the Upper East Side, on Long Island and, most recently, in Brentwood, CA. The couple has also introduced an upscale men’s and women’s lifestyle boutique, The Westside, located near Everafter’s Tribeca and Brentwood stores. Stocking more than 200 vendors, the Everafter selection spans couture to impulse items, with prices running from $5 to $500. Designer duds by Stella McCartney, Paul Smith Junior and Little Marc Jacobs hang alongside styles by Aviator Nation and Spiritual Gangster. Sloane cites giftables as a strong category this year, including Polaroid cameras, Sunnylife neon desk lamps, beaded headbands, Unicorn Snot makeup and NPW face masks. Sloane reports 2018 sales blew past projections. More encouraging: the majority of Everafter’s growth to date has been organic. “It’s been our own Instagram, our own events, our own strategies that’s created so much buzz around our stores,” she says. Expect more going forward—more in-store events and partnerships with local charities to connect with the surrounding communities. “We’ll never do anything halfway,” Sloane says. “If something takes a little extra effort, then that’s what we’ll do. It’s always been worth it, and always will be.” —E.B. Founded by Brooklyn couple Lynn and Harald Husum in 2003, Appaman first made its mark by taking the city’s street chic and extending it to children’s clothing. Originally inspired by seeing a father and son walking through Manhattan’s East Village in vintage rock band T-shirts, the company first focused on graphic tees. The brand quickly established itself as a go-to selection of the hip and famous when children of celebrities including Gwen Stefani and Angelina Jolie were photographed wearing Appaman. In the years since, the Husums have expanded Appaman into a full range of apparel, outwear and accessories for girls and boys—and won a number of Earnie awards in the process. In boys’ playwear, Appaman has found success keeping the style street smart whether it’s in graphic tees or boys’ suits. “We reinvent styles, new details and graphics,” says Lynn Husum, creative director. “Our designer is very clued in to what’s happening—on trend without being trendy.” One of the challenges for makers of boys’ playwear is overcoming the tendency of kids to wear soccer gear or sweatpants all the time. To make looking good more appealing, the company is careful not to veer from using comfortable fabrics. The current winter line, for example, has seen strong response in the market, especially snowfleece, a shirt combining the sartorial cool of flannel with the extra warmth and coziness of fleece. Hoodies and button front shirts have been strong performers through the year as well. Appaman has also established itself as a fashion leader in dresswear for boys. Fine tailoring has been doing very well for the company, echoing trends popular in men’s haberdashery seen around the company’s New York headquarters, including tailored vests that pair well with sports coats. “You can’t walk into an elevator in Midtown without seeing a patterned vest with a blazer,” Husum jokes. It’s not unusual to see child actors wearing Appaman suits on the red carpet, adding to the fashion appeal of the brand and of dressing better. Being a family-owned children’s outerwear maker and having school-aged kids lends to built-in quality control for Lasalle, Quebec-based Hatley’s. “I can’t go to a schoolyard or pick up some kids and not see nine or 10 other kids wearing our raincoats or winter coats,” says Chris Oldland, president of Hatley’s and co-owner with his two brothers, Jeremy and Nick. “And everyone knows we make this outerwear, so they’re not going to be shy about telling me the button came off.” The family’s dedication to quality—along with local parents’ eye for it—has made Hatley’s a favorite for stylish and long-lasting children’s outerwear. 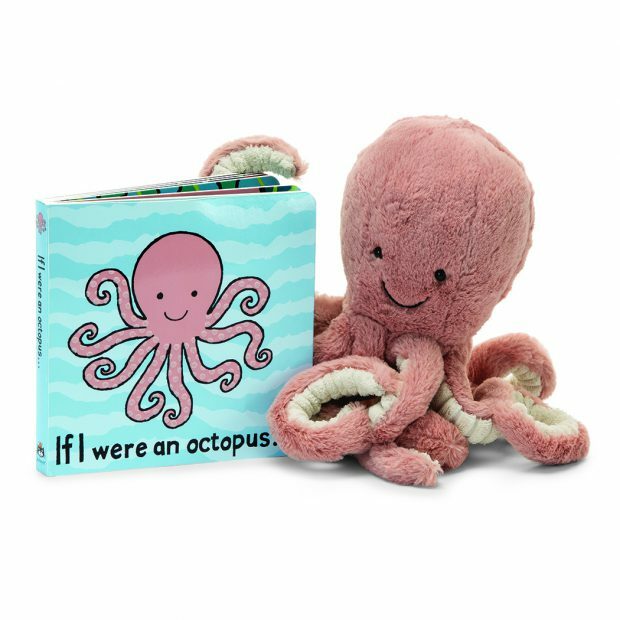 Hatley’s five-person illustration team specializes in crafting new interpretations of design themes that are consistently child favorites, like dinosaurs, sharks and trains for boys and unicorns, fruit and rainbows for girls. Beyond favorite themes, Oldland credits Hatley’s emphasis on creating full matching outfits as a differentiator. That means patterns for rainwear, for instance, are replicated from a raincoat on to pants to boots and even onto umbrellas. “We give the little kid the opportunity to dress up, and they love that,” he adds. This year, the company has seen strong response to its Sherpa-lined raincoat and microfiber coat in addition to its traditional polyurethane-lined jacket. 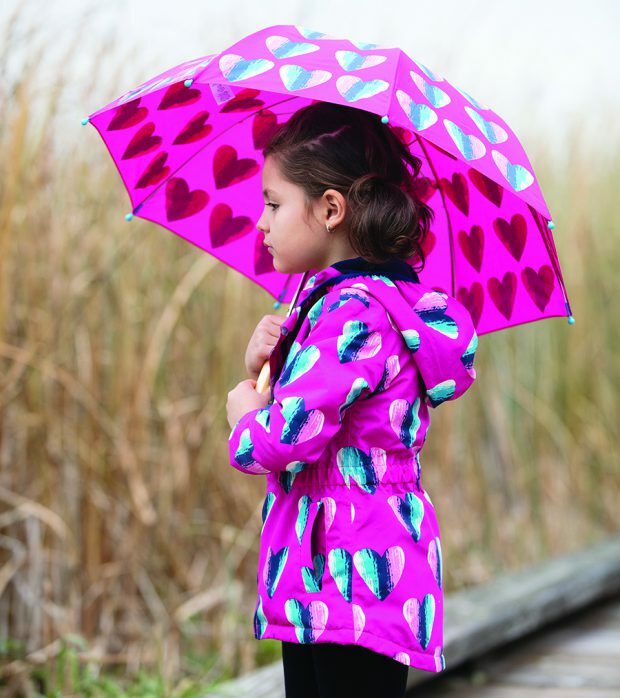 Hatley’s is also introducing a raincoat made of Neoprene. Sales have benefitted from the strong flow of new products and patterns, with growth consistently running about 20 percent annually in recent years, culminating in sales for 2018 that are about triple where they stood eight years ago. Though Hatley’s doesn’t release revenue figures, the children’s division is “easily” the fastest growing segment, Oldland allows, over the company’s women’s apparel line and a family pajama brand, The Little Blue House. Looking ahead, the siblings are adding to Hatley’s children’s winter wear line and planning a large expansion into infant rain and snow outerwear. The line will include infant raincoats, rain bundlers, winter jumpsuits and two-piece snow sets in response to an explosion of interest in the category the company has seen in recent seasons. “We’ve been dabbling in it and it has done well—it’s proven the demand there is massive,” Oldland says. —B.C. Colorful socks and a commitment to customer service has led Jefferies Socks to post its tenth straight year of sales increases, says Emily Coleman, design and merchandise manager for the Burlington, NC-based company. “Sales are trending up, and we see many new small shops opening up to fill the void left in many areas where large retailers have exited the marketplace,” she says. Though specific revenue figures aren’t disclosed, sales for the year increased 4.5 percent, Coleman reports. An emphasis on bright colors and a comprehensive selection of socks drove Jefferies Socks’ successful 2018. Coleman cites trendy fashion patterns, knee highs and tights, among others, as notable favorites of consumers. Last year, Jefferies saw great customer response to seamless toe socks, and this year’s offerings have featured a good selection of seamless for girls, including in organic cotton, footies, knee-highs and even religion-themed lace socks for special events. One of Jefferies Socks’ strengths is its comprehensiveness and focus on classic needs in addition to fun patterns, and the business has eight major lines of sock styles for girls. 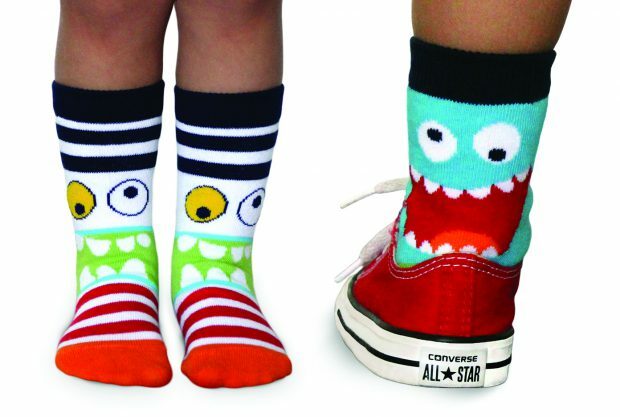 Boys socks include a large selection of seamless as well, with a range of offerings from traditional solid colors to bright multicolor patterns including sharks, dinosaurs and funky argyle, in addition to essentials such as active socks and no-skid crews. Jefferies Socks is one of a clutch of businesses owned by the Koury family. Hosiery has long been the central family activity: returning from serving in World War II, Ernest Koury started out of his parents’ basement buying damaged socks from manufacturers, repairing them and reselling. Later joined by brother Maurice, they built Carolina Hosiery into one of the largest hosiery makers in the world, which today manufactures socks under the Ducks Unlimited, Top Flite and Wrangler brands. Jefferies Socks was established as a related business and like Carolina Hosiery, makes its socks domestically. While a long-running business often means the formula for success shouldn’t be tinkered with much, Jefferies Socks took big strides this past year in sales and marketing by embracing social media and the internet. Jefferies launched its own Instagram feed in the latter half of last year. “We had a team of Instagram brand models and their cute style and outfits of the day inspired the designs and colors in our 2018 collection,” Coleman says. Jefferies cites its focus on servicing retailers as a primary reason for its success. The company has a dedicated customer service staff taking calls daily and endeavors to ship out orders in one to two working days, with most going same-day, Coleman says. A focus for the coming year is to increase the promotion of the Jefferies Socks brand through social media. The company also launched a new website for wholesale buyers, JefferiesSocks.com, featuring online specials for buyers as well as flash sales. “Our dedication to retailers certainly helped us,” Coleman adds. —B.C. Moreno credits Little Giraffe’s thorough understanding of the specific wants and needs of today’s parents for much of its success this year. “The Millennial mom and dad are responding to offerings that aren’t necessarily traditional baby, which opens up a world of new inspiration for us,” she says. For example, this year’s collections of infant blankets, swaddles, plush and throws drew inspiration from the dusty pastels and unique takes on prints seen in womenswear, including muted colorblocking and nontraditional animal prints. “Presenting styles that fit the lifestyle of young families is how we grow sales,” she says, citing the cozy neutrals and sophisticated metallic accents in the “Giraffe at Home” throw collection as also performing well this year. The brand traces this trend back to parents looking for nursery items and baby accessories as a natural extension of home décor. Last but not least, Moreno reports its Baby Love and geographic printed blankets sold through well this year. The success follows considerable work on the print text process. “It’s finally perfected to offer our signature, super-soft hand-feel with a fun message,” she says. 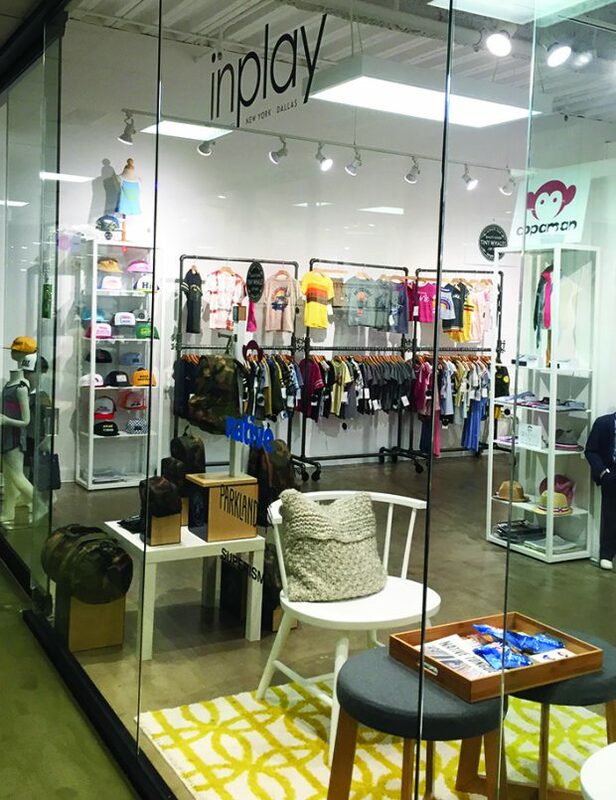 It’s a continuing evolution for In Play, which was a decade-old, single-location showroom in Los Angeles when Roe joined the company in 1999. She bought the showroom in 2003 and set about expanding out of California during the Great Recession to find a larger base of clients. Today, In Play has four showrooms across the country, having added Atlanta, Dallas and New York to its footprint in recent years. Operating a national showroom company does mean adjusting strategies to conform to the demands of each market, especially since In Play is a contemporary style showroom occupying about 1,500 to 1,800 square feet per location. “In the Southeast, surely, they’re not as trend-forward, but they are open to trying new things and that really helps us,” Roe explains. Similarly, in Dallas, customers tend to be more conservative than L.A. or New York, which means Roe and her team are more hands-on to help guide retailers to the boundaries of their comfort zone. The success In Play has had in both Atlanta and Dallas proves the generalizations of the areas she heard prior to opening are overdone. “Maybe we can’t sell everybody, but the people we do, perform well with our product,” she adds. Roe credits In Play’s attention to its customers as one of the factors that propelled it to its 2018 Earnie Award. The showroom focuses on making reorders easy—Brandboom has been its online ordering system for a number of years—and offers images for retailers to utilize on social media. More importantly, In Play emphasizes getting regular feedback beyond the typical seasonal sales calls, Roe adds. Team members are required to be in close contact with retailers, usually through weekly calls to discuss what’s selling, what isn’t and what factors are affecting business, be it the weather or the appeal of a certain brand. “That’s really helpful for them and for us, to get in tune with what is selling so we can report back to the brand to capitalize on that for future seasons,” Roe says. —B.C. Social media played a large role in what trends Gossip Girl emulated in its 2018 collections. The challenge—and subsequent success—came in balancing what the women’s and teen markets were selling with what a Gossip Girl customer would want. “Girls this age are looking up to their older sister, but they’re still young at heart,” Barr says. “We took inspiration from the junior market and applied it to this age group while maintaining our fit and coverage customers like about us.” The driving factor in sales was all in the details, with suits that featured fun and interesting details. Top sellers included floral prints with a pom-pom trim, cropped rashguards with tassel hems and one-pieces with cutouts and crochet paneling. Sun protection was another hot trend. One-pieces dominated tankinis while rashguard sales exploded and will see a collection expansion next year. Barr credits Gossip Girl’s ability to evolve and predict the market for making a splash with key trends. “The tween world reflects trends we see in juniors in our other house brands,” she says. “It’s important for us to represent all personalities of the Gossip Girl—one day she might be feeling sporty and the next girly.” Sometimes that also means reaching beyond swimwear. Gossip Girl released a limited activewear line for fall that features popular prints from the swimwear category and will be expanded in Spring ’19. Overall, Gossip Girl saw a 10 percent growth in sales despite a few curveballs thrown by Mother Nature, including hurricanes impacting key vacation areas and erratic seasonal temperatures. “The summer arrived a little later than we had hoped, but we’re not flat in sales which is good,” Barr says, adding the specialty store market helped immensely. Along those lines, she says Gossip Girl will continue to primarily focus on independent retailers in 2019 for growth—a distribution strategy that matches up well with Gossip Girl’s ethos. “People are going back to the ‘support local business’ mindset,” Barr says. “We are also family-owned, so those principles are important to us.” —A.J. 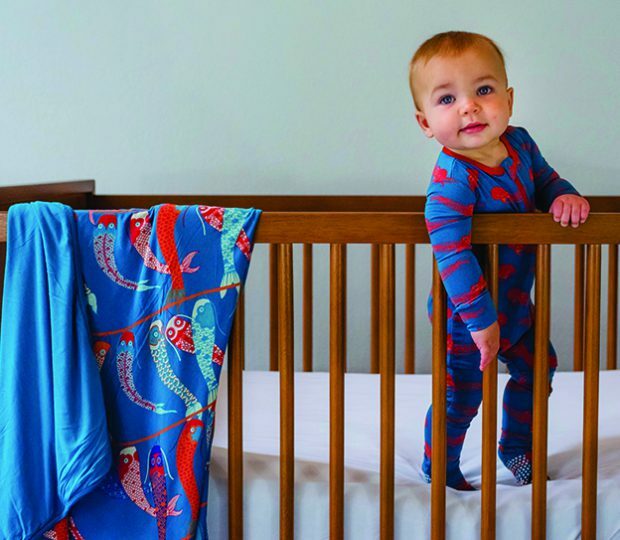 With multiple Earnie Awards to its name, Kickee Pants knows what it takes to succeed in children’s sleepwear: creating great collections and lots of them. Now in its 11th year, the company produces nine collections annually (three per season, two yearly and one holiday), always keeping customers on the lookout for the latest in cute, cozy and comfy sleepwear. This year’s collections fit under the umbrella theme of world travel, focusing on different cultures and locations. Prints inspired by Australia, France, Brazil and Kenya, with the most recent release featuring England-inspired motifs including red phone booths, tea time, double-decker buses and royal guards. “It’s been fun to explore different cultures the American customer may not be familiar with and celebrate what’s important to those cultures,” Sims says, adding a Japanese-inspired sushi print was launched in November. All the hard work has paid off in results, with sales seeing double-digit growth despite the unstable retail market. Sims credits Kickee Pants’ new verticals and its continued dedication to its traditional retail partners for the continued success. “It’s been a challenge for them in the digital age with online shopping, so we want to make sure those brick-and-mortar stores aren’t left out,” she says. Kickee Pants even launched its “Back to Bricks” campaign in October to support physical retail spaces. “We want to let them know we’re here for them, whether that means us going to the store, doing events or book readings,” Sims says. —A.J. This year, the Complete All Seasons Embossed carrier was created specifically for the Disney partnership. It features Lillébaby’s signature 3-D mesh on the inside panel for comfort and breathability, and the bright red fabric is embossed with the iconic Mickey Mouse silhouette on the zip-down temperature control panel. 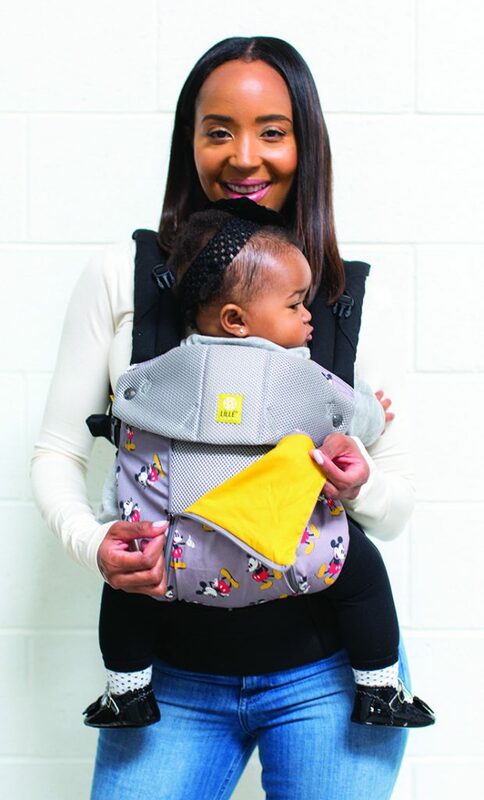 Lillébaby’s Complete Airflow, Complete All Seasons and matching doll carriers were all outfitted in Disney and Pixar characters, with the All Seasons continuing to be the most popular design in 2018 in retailers nationwide, Colton reports. Inspired by Disney’s history, Lillébaby designed prints to connect with both parent and child, like “Stitched Sweethearts,” which features a classic red, black and gray pattern of Mickey ears and Minnie bows to honor the sweethearts, and “Sunday Funnies,” a vintage newspaper comic pattern reminiscent of Mickey and Minnie’s early days. Targeting the newer generation, characters from Disney•Pixar’s Incredibles 2 are also available in a print on two carriers. “We provided a way for caregivers to celebrate their own Disney fandom while including their little ones,” Colton says. 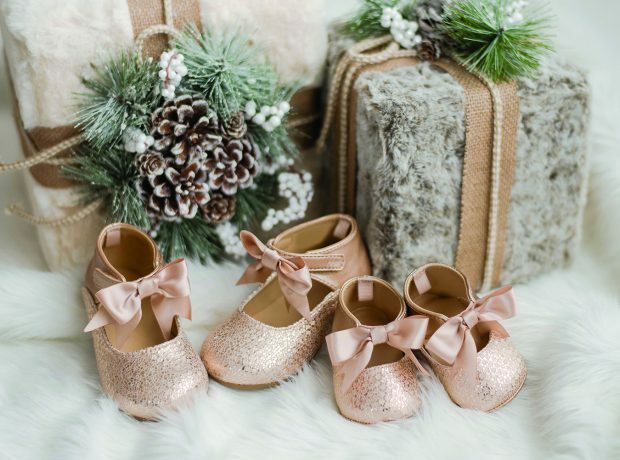 As with all Disney touches, Lillébaby sales in 2018 were “absolutely phenomenal,” and Colton credits the company’s communication with its customers as a key reason for the success. “From our own website, to customer service, to our social media channels and communities, we are in constant contact with our consumers,” he says, adding that structure research are important elements to the mix as well. “Not only does this give us the ‘pulse’ and help us set strategy, but also helps us respond to issues, and more importantly opportunities.” Colton expects good things from the continued Disney Baby partnership through 2019. “We are working on some great new designs for release in the spring,” he says. —A.J. From the art of traditional Korean patchwork to the graphic boldness of Brazilian street graffiti, California-based brand Tea Collection has used far and away travel destinations to inspire modern and consummately wearable children’s apparel since its launch 15 years ago. This year, however, the company decided to look to its home country for inspiration, and did so in stunning, Earnie-worthy fashion. Rawdon expects continued success for Tea Collection going forward as the key ingredients are firmly in place. “We’re very fortunate to be well-positioned with authentic inspiration, good quality and a commitment to giving back,” she says. “Our partnership with the Global Fund for Children has allowed each Tea purchase to give back to children in need for the past 15 years.” Rawdon adds, “We have some exciting ideas ahead about how to accelerate these efforts and make a bigger difference—lots to still unfold.” —E.B. Another Earnie award in the bag—literally! 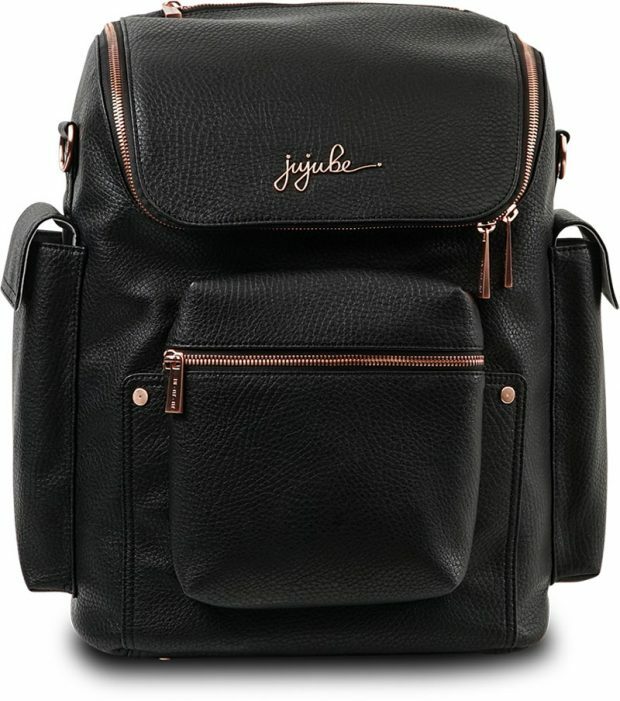 SoCal-based Ju-Ju-Be’s wide selection of totes, messenger bags and backpacks for on-the-go parents grabbed the market’s attention once again. “The company is stoked about winning an Earnie,” says Bryant Figueroa, vice president of marketing. Ju-Ju-Be’s research indicates this shift toward gender-neutral bag styling is due to more dads becoming involved in daily childcare. “Mom now often takes into account what Dad would be comfortable using,” Figueroa says. “One of the most frequent comments we hear is, ‘Oh, my husband could carry this, too!’” With neutral diaper bags on the rise, the brand plans on rolling out more subdued styles in addition to its signature prints. Ju-Ju-Be’s success also comes from its never-ending commitment to its retail partners. For example, stores get exclusive access to its best licensed goods like Tokidoki, Sanrio and this year’s Blizzard collaboration, to name a few. “We also allow our retailers to offer ‘print placement’—letting customers choose where the licensed characters end up on the bag,” he adds. There’s plenty more to come from Ju-Ju-Be. Figueroa says the company spent much of 2018 restructuring to be able to introduce new ingenuities into the marketplace. “Starting in March, there will be a push for more affordable bags, priced between $50 and $100, to answer consumer demands for more accessible options,” he says. In addition, the company plans to open a marketplace for other retailers and manufacturers to sell their goods on its website. It’s slated for debut in January. “We’ve always been digitally savvy and believe we can serve as a landing page for the baby gear industry,” Figueroa says, believing it’d be a win-win for all parties involved. “The key is staying two steps ahead; That way you’re always poised for growth.” —E.B. In addition to creative designs, Angel Dear is dedicated to sourcing soft fabrics, so parents can wrap their children in comfort. The brand expanded its muslin and bamboo lines this year, in addition to growing its large knit collections. “This way parents can choose super soft bamboo, soft and comfy knits or light and airy muslin,” Perrin says, citing its bamboo zipper footie and muslin bubbles as top sellers. With sales on the rise this year, Angel Dear plans on further expanding its lines for additional growth in 2019. “We will continue participating in tradeshows all over the world as we find this to be a reliable source of connecting with the industry,” Perrin says. “Social media and advertising in Earnshaw’s are also key for us to connect with new customers.” Looking ahead, Perrin says Angel Dear will be adding organic cotton back into its layette mix, as well as introducing a cotton and cashmere group to its popular “Take Me Home” collection. The brand will also be wading into the female empowerment movement, in addition to introducing some Kawaii-inspired designs. “We love diving into all things Japanese,” Perrin says, noting the inspiration as a personal favorite. “You can’t go wrong with the ‘culture of cuteness!’” —A.J. Oh foresees continued growth for Esme in the years ahead, especially with its boys’ selection. “We’re very excited how much that category has grown and expect it to become as popular as our girls’ items,” she says, adding that the support of its loyal retail partners has made it all possible. “We’re just so thankful for all the retailers that support us,” she says. “We couldn’t have won this award or done any of this without them.” —E.B. Good accessories should help tell a story. This is especially true with children, who embrace accessories as a way to develop and define their personality. Iscream has been building lines of fun and colorful accessories for more than 10 years and today encompasses anything a person may pair with their outfit. Tactile goods are on trend now, an extension of the recent fidget spinner craze. “All sorts of different mixed mediums have entered into the marketplace, which can meld together to make different patterns,” Mines explains, citing animal prints, soft furs, chenille and pom-poms as successful mediums for Iscream this year. Beyond materials, anything with a rainbow appearance or a metallic look got excellent results at retail in 2018, and sustainability remains a strong theme with consumers too, she adds. 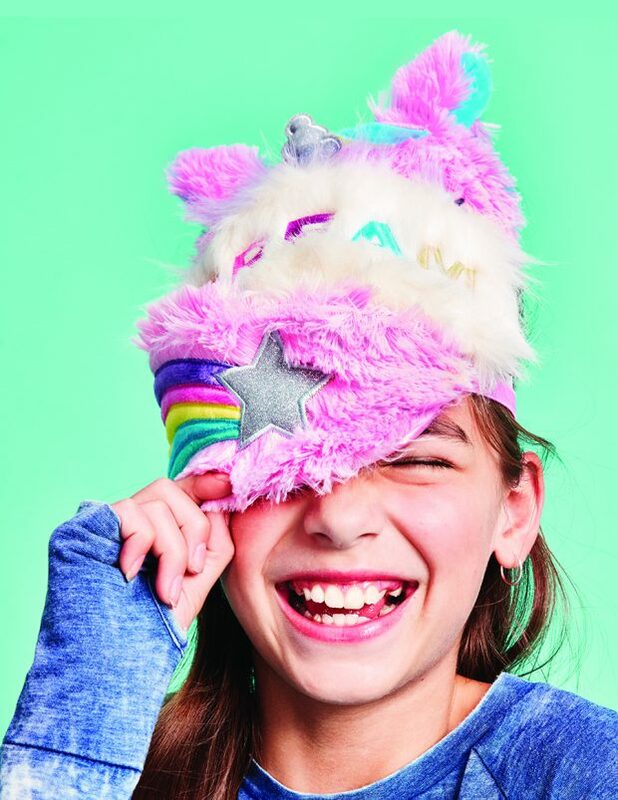 The year has seen strong appeal to girls and tweens in products featuring llamas, narwhals and mermaids, powering the company to another positive year of sales growth. Of late, Iscream has been able to build off of traditionally strong product lines, such as sleeping bags and eye masks, and extend into lower price point items such as lip gloss and putties. Broadening the product selection has improved sales because it’s appealing to retailers to work with fewer vendors, especially when they can be on top of the latest trend children shoppers are searching for, according to Mines. Iscream’s strategy for the year ahead will be a little different, however. Rather than adding products at lower price points, Mines is aiming to expand materials and offer more higher priced goods. “We already sell some pretty high-end products, but we’re willing to take it to the next level, working with a different level of materials that may attract a higher level of consumer while keeping our regular customer as well,” she says. —B.C. Popular trends this year included sequin linings, as well as fuller skirts and asymmetry. 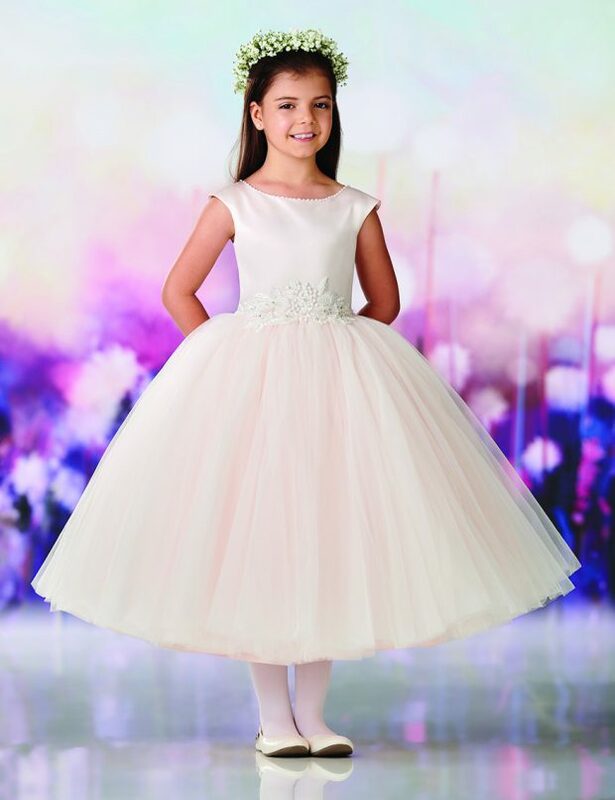 Walsh describes one of the brand’s bestsellers as the “ballerina dress,” a tulle skirt with a satin bodice adorned at the waist by an organza floral pattern and covered in crystal beading. Orders this year also indicated interest in longer hems. “That was a surprise to me since we usually avoid longer lengths to prevent girls from tripping or ripping their gown,” Walsh says. Nonetheless, the brand met the demand with more length variation at diversified prices to best serve its customers. Speaking of the power of social media, Walsh notes that less kids may be dressing up for formal occasions, but there’s been a bump in sales thanks to parents purchasing pretty dresses to capture those “social media-worthy” moments. “Just because the fashion world is evolving doesn’t mean your business is in jeopardy,” Walsh says, noting the importance of reacting fast and making necessary adaptations. Walsh cites the company’s upgraded in-house inventory and ordering system as boosting convenience for its retail partners. “Our customers can view inventory up to the minute and order any time of day,” she says, adding that its sales team also travels to stores frequently to put a face to the business. “The key to success is to just keep listening,” Walsh says. —E.B. Jellycat’s bi-annual collections are most widely recognized for the unique variety of soft characters spanning bunnies, birds, bugs and beasts in luxurious fabrications from curly to corduroy. “Our assortment gives excitement to your typical wall of soft toys,” Gibbins says, noting that most of the brand’s inspiration comes from colors and materials used in high fashion to match its couture-level quality. Gibbins expects another strong year of growth for Jellycat in 2019, buoyed by lots of “surprises.” The company’s drive to innovate and entice remains as strong as ever. “Sure, we take a lot of risks, which sometimes work and sometimes don’t,” Gibbins says. “But because we consistently deliver to our retailers, they are willing to take the risks with us. It’s the best feeling.” —E.B. Gorsuch says that Baby Deer’s collections are more often recognized for being relevant over unique. “Some trends translate to baby shoes, others do not,” he says. “They key is being able to interpret what will work and what won’t.” Gorsuch cites basics as the meat and potatoes of Baby Deer, with fresh takes on sandals and short booties peppered into its collections each season. For 2018, western influences were popular, as well as two-buckle sandals. Gorsuch also cites a lot more color in the baby shoe marketplace than ever before. “Not gaudy, just more colorful,” he says, adding that more accenting materials like touches of metallic and appliqués are also on the rise. Gorsuch attributes Baby Deer’s long-term success to staying flexible in an ever-changing retail landscape. “The speed of change today is faster than ever,” he says. “It’s important to note that something working today may not work a year from now.” He gives an additional nod of credit to the company’s passionate and experienced staff that ensures the brand is managed from both short- and long-term needs. Looking ahead, Gorsuch says a potential new revenue stream for Baby Deer lies beyond U.S. borders. “International expansion is one of our long-term initiatives, which is primarily about choosing the right market and the right partner,” he says. “We’re not there yet, but it’s in the cards.” —E.B. Native’s top-selling legacy style this year was the Jefferson, a perforated slip-on sneaker. The brand also made strides this year outside its traditional strengths in the kids’ market. “Expanding our collection into sandals and transitional boots showed us there is a huge appetite from families for our styles year-round,” Belgue says. Styles like the Kensingston chelsea boot, Phoenix sneaker and Charley sandal were a few of the new additions that performed exceptionally well in 2018. The option for more coordinating parent-child styles also proved to be a major draw for customers. Reflected in the brand’s continued sales growth and consumer loyalty, Native proves to be more than just footwear but an integrated part of its customers’ lives. Belgue says that fans can go to Native’s blog for everything from style advice to vegan pie recipes, as well as interviews with industry creatives—a 360-degree experience that keeps the whole family engaged. “Another huge factor to our success is kids can, for the most part, put our shoes on and take them off themselves,” Belgue says. “That empowerment paired with comfort creates a unique bond with the brand for years to come.” —A.J. Though Lola + The Boys focuses mainly on girls’ pieces, Ovrutsky still offers boys items, including harem pants, collared shirts and witty graphic tees. Several of the pieces are designed by Ovrutsky, including the top-selling unicorn sequin bomber for girls and a variety of trendy tops, leather jackets and midi to “mixi” dresses. “I always ask myself if I would wear it,” she says. “In my opinion, there doesn’t need to be a big difference between adult and kids’ fashion.” Ovrutsky is onto something with her fun-yet-sophisticated approach, receiving many requests for coordinating adult sizes to boot. With more than 50 retail accounts now and counting, Lola + The Boys is scoping out bigger Chicago head offices. The company is also planning more events, pop-ups and fashion shows once it settles into new digs that best serve its growing demand. “Each day is getting busier and busier, which is good,” Ovrutsky says, adding that the company goes above and beyond to fill reorders and whatever else its retail partners may need. “While there’s no steadfast secret to success, my best advice is to always treat your customers like you would your friends,” she says. “If you do that, the rest will come.” —E.B. Sustainable manufacturing practices that produce eye-catching eco-friendly, non-gendered collections continues to be the formula for success for Finn + Emma. The Fairfield, NJ-based firm has garnered its second straight Earnie award. The brand’s 100-percent G.O.T.S.-certified cotton clothing without inks or dyes, as well as complementary toys made from nontoxic materials, have become staples inside a growing array of retailers nationwide. The gender neutral designs only adds to their appeal, say retailers. 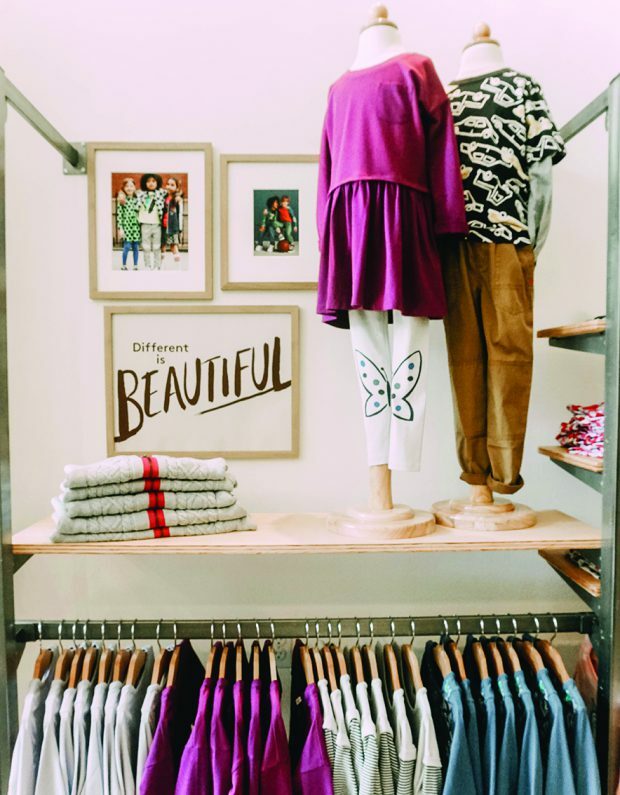 While Ashley Sharp, owner of Green Bean Baby Boutique in Charlottesville, VA, doesn’t necessarily merchandise her Finn + Emma stock as genderless, she often guides customers to the brand for that purpose. “Even when they knows the gender, my moms are more into colors like gray, white and cream,” she says. 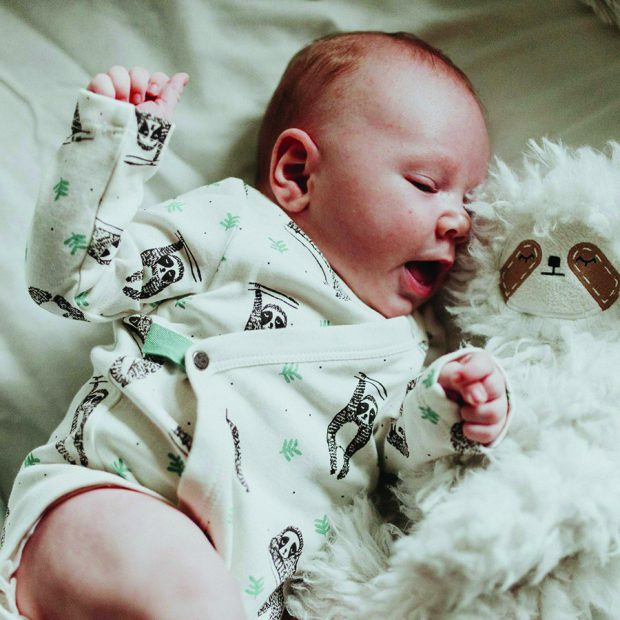 “They don’t want their baby to be categorized by gendered clothing.” This year, Sharp cites Finn + Emma’s sloth prints, plush and pastel green offerings as bestsellers, in addition to its stroller sets and infinity bibs. Pam Holmes, co-owner of Second Nature Learning in Moorestown, NJ, says Finn + Emma’s trusted sustainable manufacturing practices are a key reason why she keeps stocking the brand each season. With all goods made in fair trade factories that adhere to environmental codes—including strict health and waste removal standards—Holmes feels confident her customers are only getting the best. “The products are very high quality, and the rattle and stroller sets are made by a women’s collective in Peru, which is a huge selling point,” she says, adding that Finn + Emma’s rattle buddies are always hard to keep in stock. Not only do Finn + Emma’s unique products sell through strongly, its top-notch services make it a breeze to reorder. Many retail partners agree the company’s customer service is second to none. Employees even go above and beyond when called upon. For example, soon after Sharp first opened her store, she had to bring her then-7-month-old to Children’s Club in New York. “Of course my daughter threw up all over their booth, but the sales rep was so kind and down to earth,” she says. Finn + Emma’s sales reps are noted for their ability to build supportive, long-lasting relationships. “The rep I work with is just a text away,” Holmes says. “I could text her at midnight, and she’d reply.” —A.J. To think it all began by selling honey out of a pickup truck… Today, Burt’s Bees, a division of the multibillion-dollar Clorox corporation, is a multimillion-dollar business in its own right and recognized as one of the most well-known natural personal care labels in the world for men, women and children. 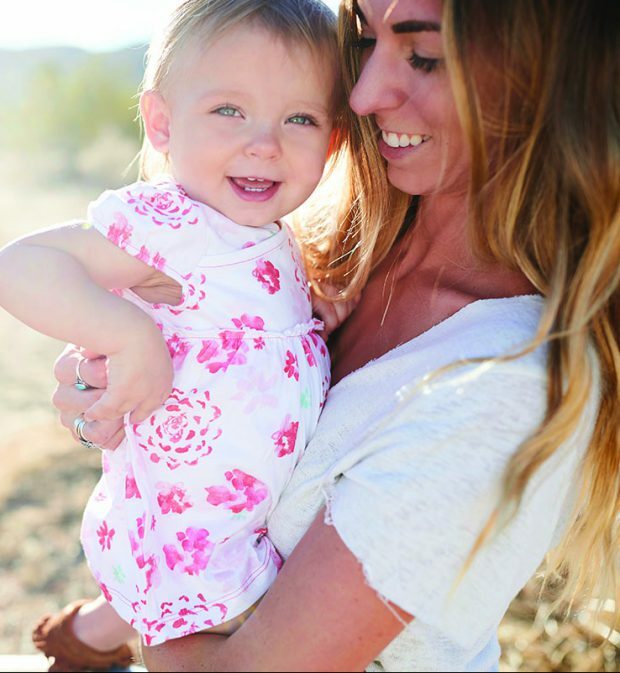 “Burt’s Bees is very recognizable and holds a lot of weight in terms of credibility and authenticity,” says Maria Nyline-Asker, president of Ayablu, licensee of infant apparel and product extension Burt’s Bees Baby. “We’re fortunate that we’ve had incredible growth year over year, and 2018 was no exception.” She attributes that success to great product as well as a tweaked distribution strategy that has reined in national players to a “handful of key partners” (like Buy Buy Baby, Target, Amazon and Nordstrom) while expanding its specialty boutiques roster, having exhibited for the first time at Children’s Club in New York this past August. Striking a balance between sustainable and stylish, Mother Nature and Americana served as muses for this year’s collections. Inspiring themes like “Dusty Oasis” and “American Prairie” were notable success stories, according to Nyline-Asker. She points to bedding, “Beekeepers” (wearable blankets), zip-front sleepers, one-piece jumpsuits and romper sets as being particularly buzz-worthy in 2018. “The graphics this year were bold and prints extraordinary,” she says, citing a few more popular designs like a succulent floral jumpsuit, ditsy floral bubble, desert stripe sleeper and “A-Bee-C” sleeper. Nyline-Asker believes Burt’s Bees Baby is just taking flight with plenty more growth on the horizon. “We’ve recently invested a lot in expansion internationally with plans to launch in China and Taiwan in Q1 of next year,” she says, adding that the label is in talks with several other potential key partners, as well as anticipating more boutique account growth nationwide. “This day and age is so rich with inspiration everywhere you look—technology to couture fashion and everything in between,” Nyline-Asker says. “There’s still so much more to explore.”—E.B. Elegant Baby’s first Earnie wasn’t the only accolade the brand received in 2018. 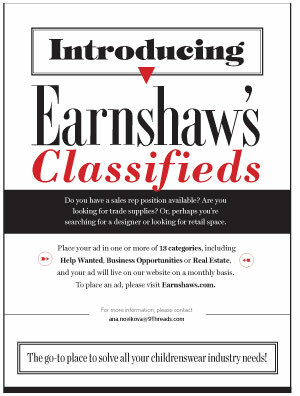 After opening a corporate showroom at AmericasMart Atlanta in June, the company was awarded “Best New Showroom” by the market. Represented by Brittany Harrell of Summer Place, the showroom is designed to reflect the brand’s fresh Millennial-inspired aesthetic with dreamy rustic elements like string lights and a wooden swing tied with rope from the ceiling as a way to showcase product. The 900-square-foot space also contains a charming spot for customers to sit before a gallery of fresh brand imagery that incorporates fun merchandising ideas. “It’s very lifestyle driven,” Hooper says, noting new collections are typically displayed in gift bundles like a dinosaur knit outfit next to its coordinating toys and blanket. The showroom is a microcosm of Elegant Baby’s larger success. Doubling down on new product introductions and reinvesting in its presentation with a new logo and brand photography, Hooper is proud of the company’s renewed look for 2018. Elegant Baby truly went the extra mile(s), shooting its rebranded photography in Miami instead of near its North Carolina-based headquarters. “If you just put stuff out there, it looks like any old stuff,” Hooper says. “You have to put some romance behind it.” He adds that the brand’s major accounts like Bloomingdale’s, Saks and Nordstrom have been supportive voices in shaping the creative direction in addition to its seasoned team of reps. In terms of what’s to come, Hooper is very optimistic. “We’re growing in high double digits with people like Saks and Bloomingdale’s, so it looks like there’s an uptick.” He also notes business with Buy Buy Baby to be robust and is enthusiastic about several new store openings. While the knit category continues to drive the bulk of Elegant Baby’s sales, Hooper is looking forward to adding a new twist to the classics in mid-2019. “We’re going to introduce a fair trade-certified layette collection,” he says. “I’m not doing it because I think it’s such a business opportunity; I just think it’s the right thing to do. The best decisions always come from the heart.” —E.B. Cheryl Vann, owner of online shop Gypsy Girl Boutique, is one of the many retailers of Vintage Havana and affirms she can always depend on the brand’s edgy, but age-appropriate styles. 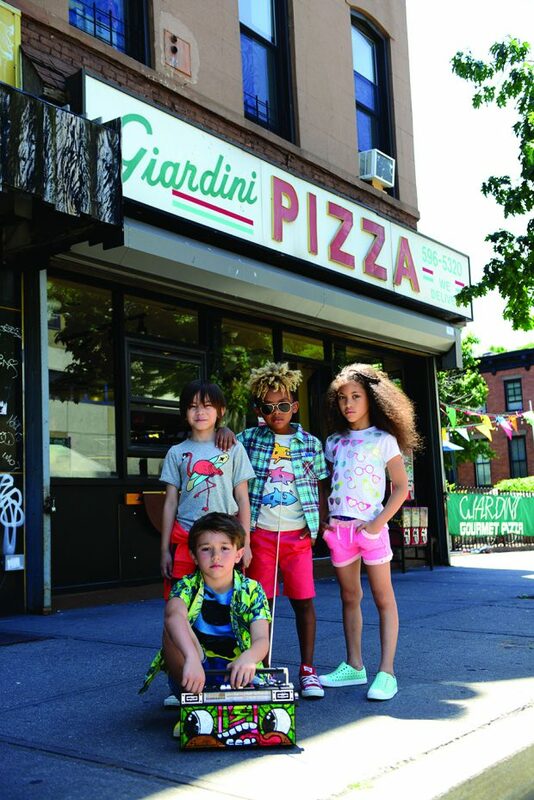 “They always stay up-to-date on current styles with designs that are fun for kids—especially picky tweens,” Vann says, adding that the competitive price points (retailing between $30 and $80) is another factor contributing to the brand’ success. Along with its many fashion-forward statement pieces, spanning top tween trends from athleisure and animal prints to camo and metallic foiling, Vintage Havana offers wardrobe staples like basic camisoles, undershirts and breathable activewear. This year, Dabah reports its denim and fleece lines as bestsellers, along with anything printed with camoflauge. Vann agrees, echoing that comfortable terry-fleece tops were a top performer this year. “Kids don’t like really tight clothing anymore,” she says. “They want leggings, sweatshirts and comfy tops.” Vann adds that small details like gold foiling, glitter, patches and shoelace ties were also a hit this year. As Vintage Havana continues to grow both in sales and distribution, Dabah says more trendsetting designs are in the offering for 2019. Expect to see prints like plaid and leopard throughout the collections, as well as more interpretations of the popular athleisure trend. Dabah also hopes to expand its boys’ collection from toddler into tween styles. “We’re gaining a lot of traction in that market, so I’m hoping to build on that and allow for a natural growth of our boys’ apparel,” he says. —A.J.